A few weeks ago, I was traveling to Bali and as always, I captured my adventures in social media. Beside shootings, nice hotels and beaches, I was also heading out for cool food spots to collect some more recommendations for you guys. Bali is a generally well visited (holiday) destination and what would be more valuable than great food spots while being on travel? 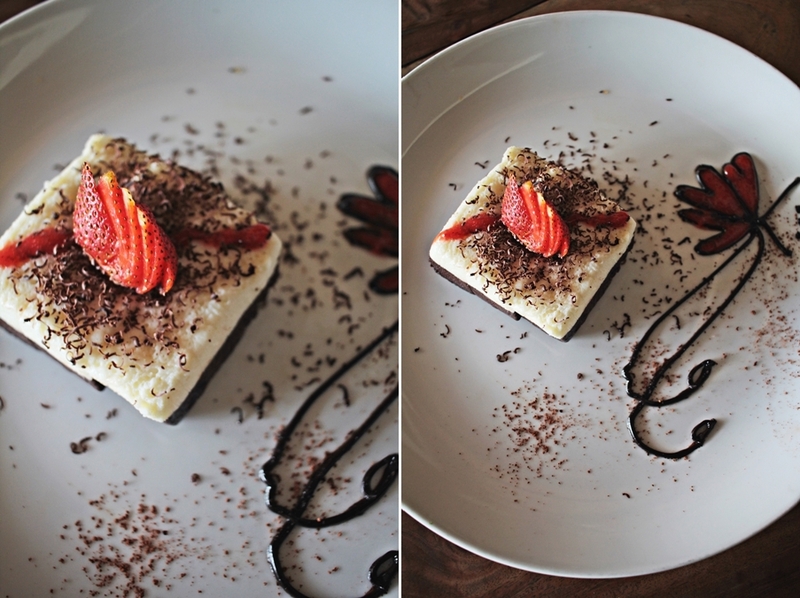 I guess you get me right there and that´s why I’m happy to share my experience of the media lunch at PEPeNERO Jimbaran with you, an Italian restaurant chain, which is operation in Jakarta and Bali, with a beautiful restaurant in Jimbaran, Bali..
We all can relate: food needs to be good, but presentation is the key. Settled in beach near, surrounded by the Mövenpick hotel Bali and hosting a lush garden scenery, the management of PEPeNERO know how to create a moment. The restaurant is especially for (romantic) dinners a must do. Also during the day, the restaurant offers spectacular views. The garden scenery is a highlight and will definitely be valued with a few captures of its guests. When entering the restaurant, it already feels like a little hideaway. I really enjoyed the lunch over there, not only because of the very tasty food but also because of the fact that it feels like entering another world. The place is super sheltered through the facts that it´s all covered by greens and flowers. Additionally, one will have to walk up a few stairs and will enjoy a view from above. The location inside is charming and a little bit old fashioned, just like the typical Italian design. 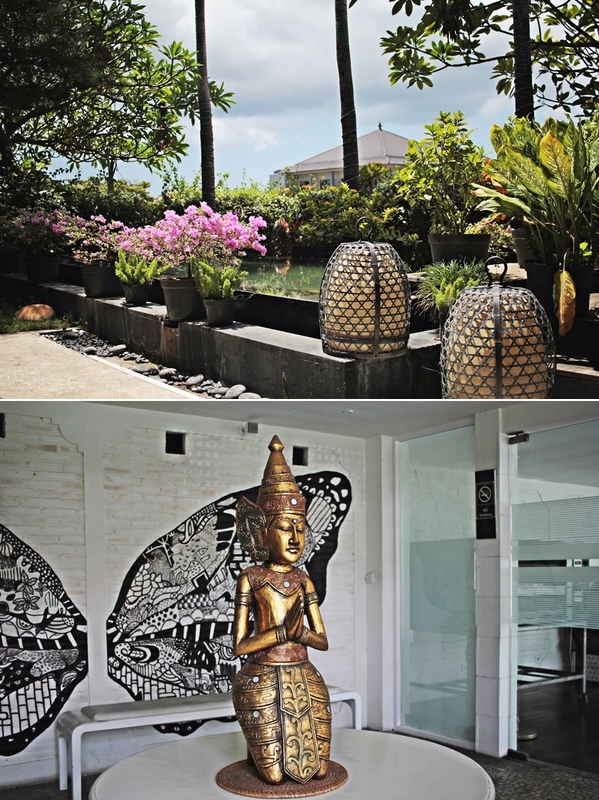 Everything is made of wood elements and gets a little twisted with the Balinese statues and designs. Also, one will find a little pool around. The creative tough ups are set trough colorful paintings around the dining area. Really appreciated are the fresh and healthy drinks. Especially the dragon fruit smoothie was a highlight for me. Bali is generally known as a healthy place with wide offers for vegans and even PEPeNERO is an Italian restaurant, there are choices for vegetarian and even vegans. 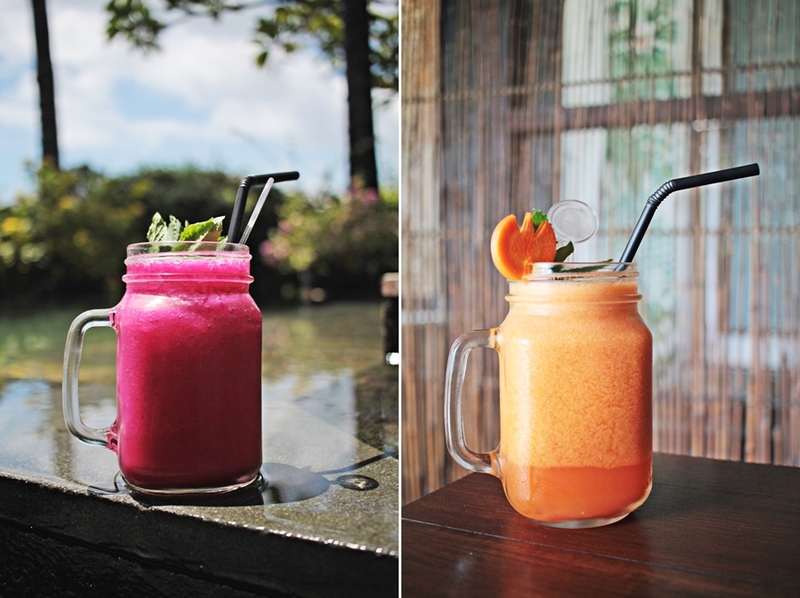 The colorful drinks are not only a quick boost for one’s mood but also a nice healthy alternative to the usually sugary options available around Indonesia. I went to PEPeNERO with a friend who is a fan of seafood. Trough the fact that we both had a tasting we can give you more of a review out of “both worlds”. Starting with the Italian influence we really liked the bruschetta. The bread was soft inside and crunchy outside. It was super fresh and the tomatoes were rich is taste and smell. The herbs tasted fresh picked and the whole dressing was not watery. For the main course we had each a different meal. My friend decided for the fresh pasta, which was infused with seafood and a creamy sauce. I had gnocchi with a very intense tomato sauce and a homemade pesto on top. The flavors were super rich and I can tell it was one of the best dishes I had within this trip. The food is really inviting for more. Sadly, we haven’t had any more space to eat more but guest always highlight the pizza of the PEPeNERO resultant. PEPeNERO is all about a modern twist in classic Italian. 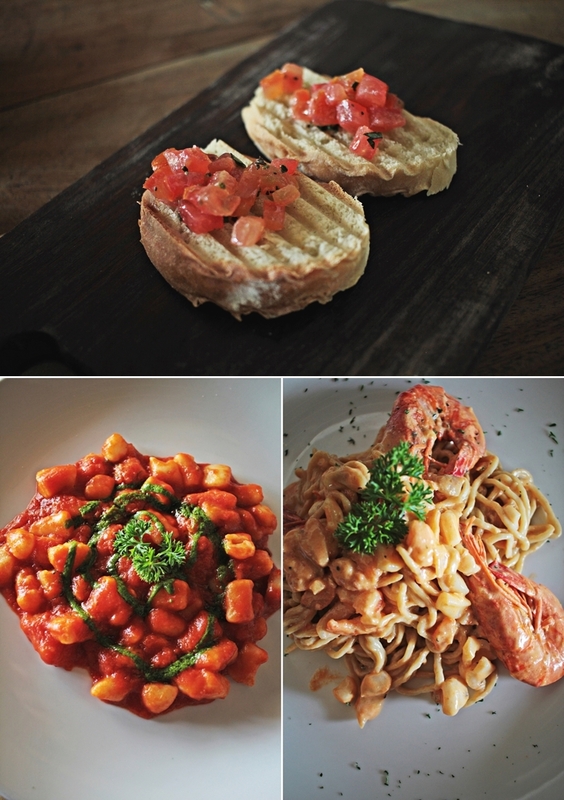 The first restaurant opened in 2004 and it is having several sports in Indonesia, offering spoiling food for people from all over to come together for Italian food. 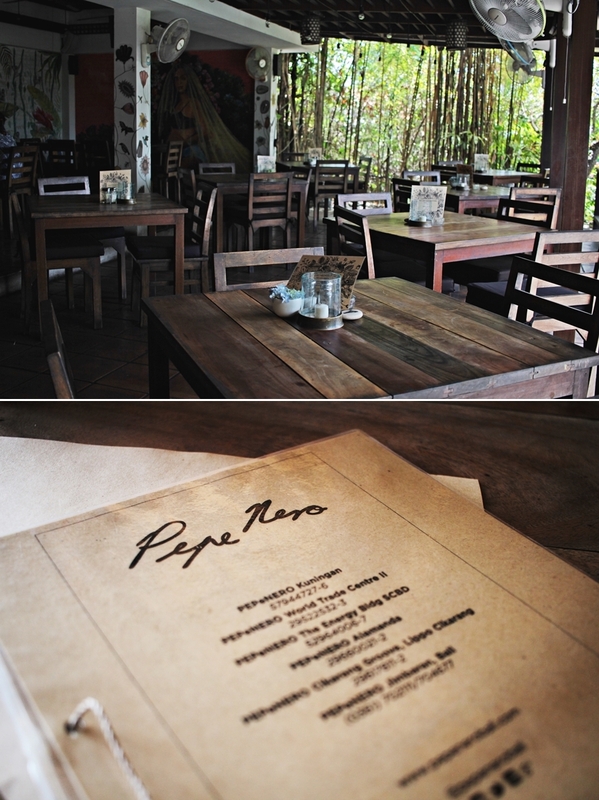 I honestly can´t wait for my next trips to Bali, where PEPeNERO will be definitely on the list again. Just as an additional reminder: I might have been invited for the media lunch, however this article reflects my own opinion and I´m happy to support a business that provides good and fresh food. 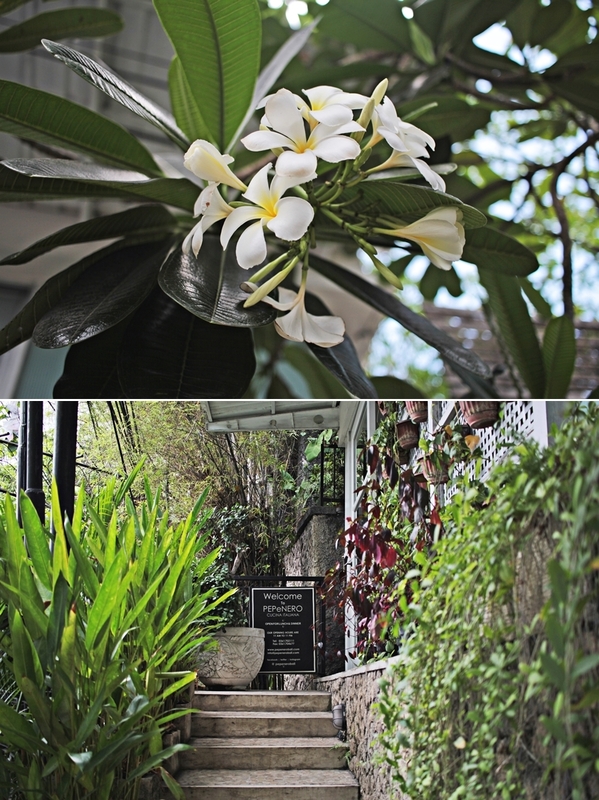 PEPeNERO is a spot that I would love to have known about during my first travels to Bali. When you´re around make a stop, it´s absolutely worth it.